If this 4h Bar closed as a good Pin Bar, is it a valid Setup for Short position? I think it “looks okay” if the Bar close under the resistance zone. 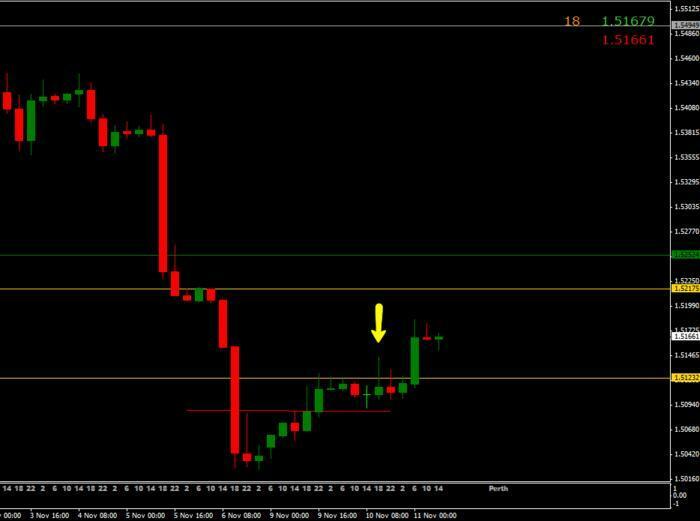 Yes, I think you have made a good observation on GBP/USD 4 hour chart. It should work out well. However, it may take a bit longer to get the expected results because the pin bar doesn’t look too decisive. I’d like to draw your attention to another possible trading opportunity that may develop in a day or two. 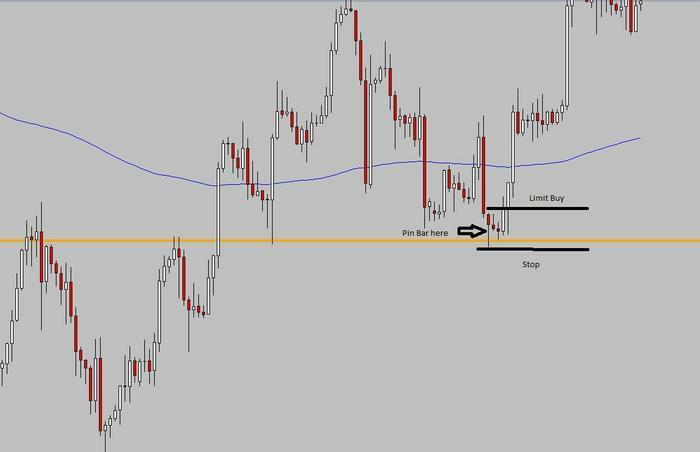 Here is a USD/JPY daily chart that may offer a short trade if it breaks the low of yesterdays indecision candle. - Sorry, I still need to figure out how to add the pertaining chart to this post. I’ll give it a try. IF i want to trade lower time frame (1h, 30M). The Setup looks exactly the same “perfekt and obvious” as on the daily/h4 chart, right ? Is there something different in the lower time frame to consider for me ? i think he draw the s/r zone at round number 123.00 at usd/jpy. Daily Trend is bullish. i dont look for short setups at usd/jpy. If you trade a 4 hr, 1 hr or 30 min chart I think it is best to trade with the trend that can be seen on a bigger timeframe. So, if you think you’ve found something interesting on a 1 hour chart, just go and have a look if it is in line with the trend that can be seen on a 4 hour chart. The trend is our friend. We just need to take advantage of that. As for USD/JPY daily chart I placed a sell stop order at 122.96. 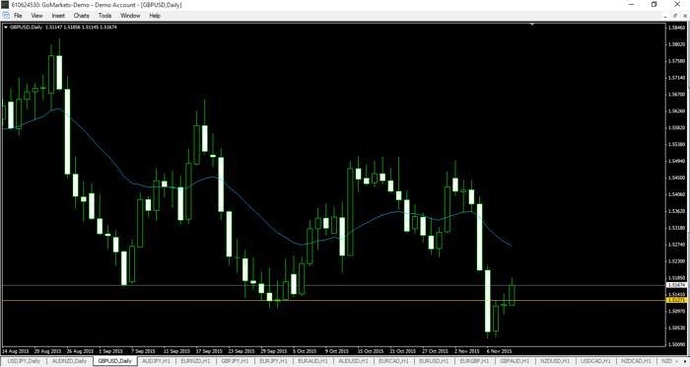 If the trade triggers it may drop even 100 pips. That’s why it might be a good idea to go for it. I’ll use a risk/reward ratio 1 : 2. I also like to eliminate the risk from my trades as soon as possible. So that in the worst case scenario I won’t gain, and won’t lose any money. As long as you are trading from a key daily level, any time frame can work. You need to make certain though that you trading from a key daily level. Thank you all for the good comments here i am very Happy with this! If we trade a Signal (Pinbar or engulf or 2br, whatever). We put the limit order in the market and wait what the market do. Ok the Pin Bar is a little small compard to the other but, did we take this trade or did we cancle the order after the next candle after the Pin Bar? I think the main reason is that the actual price was too far from the EMA 20 and that is clearly visible on the attached daily chart. EMA 20 acts like a magnet. If the price runs away too much, it is likely to make a correction especially after it stalls for a while. That may explain why the price on USD/JPY daily chart turned back and triggered my sell stop order @ 122.96. I like Joye’s comment. - Key levels that can be identified on daily or weekly charts are really very important. Thank you for your contribution. The amount of time that passes after you set your orders does not matter, and this is where patience comes into play. We need to wait until prices enters us in the trade, or until it moves past our stop loss point, thus invalidating the trade, at which point we will cancel our orders and move on to the next setup. Here is the GBPUSd 4H and that pin bar rejection off the key area. I contemplated it briefly but thought the risk reward was too skinny. Hi Average Joe, I think 1.5050 TP target would be more reasonable because GBP/USD 4H chart shows a clear downtrend. - My reasons for staying away would be different. Firstly, the pin bar closed as a bullish pin bar & a bit short for my liking. Secondly, the GBP/USD daily chart shows a big gap between the actual price and the 20 EMA. This may indicate a possible corrective move towards the exponential moving average. God bless, and good trading everyone. In my experience, you want to see price move quickly in your direction. If you’re getting a signal be it a Kangaroo tail, Pin Bar, Big Shadow or whatever, as a Trader I want to see the next candle(s) move in the direction of my potential trade. It shows that the market agrees with you. I personally wait no more than 2 candles (and that depends on the specific trade set-up) to trigger my sell stop or buy stop order. If it doesn’t happen i.e. trigger by 2 candles the trade is off for me. I close my pending order on that trade. For me its not about patience it’s about the seeing if the market agrees with my initial analysis and/or assessment. This methodology has been tried and back-tested with me. Have a magnificent day on PURPOSE. If that is your method and it works for you that’s great! I know other traders who trade the same and it works for them. I personally do not trade that way simply because many times after a high probability signal, price will coil and build more order flow before another explosive move back in my direction. And other times, price will break and enter me in a trade and end up being a loser anyway, so I do not base a good trade on how fast price moves in my favor, but on how well I am reading the market and sticking to my plan. By cutting my trade short I am also cutting short my edge. By cutting my trade short I am also cutting short my edge. What edge are you cutting short Joey?